Gah! 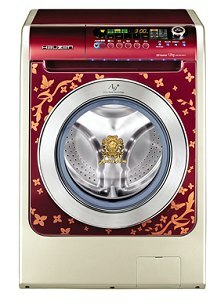 This is a new washer made by Samsung, designed by Andre Kim-I found this on one of my new-found sites ShinyShiny. Isn’t it beautiful? Also, LG is coming out with a line of Swarovski-encrusted appliances…It’s enough to make a girl swoon!! !